I love going through my files. I am always finding cool things. I happened upon this recently and am only now getting to post it. 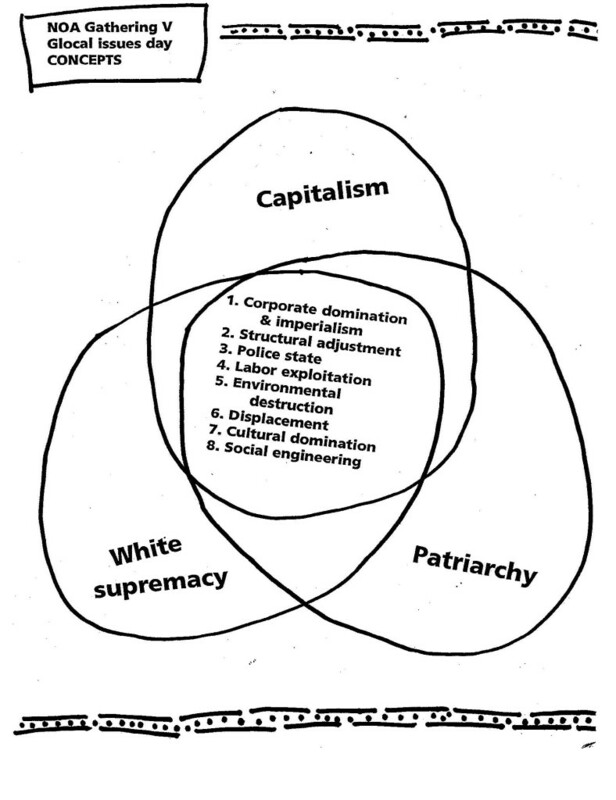 This is a great graphic image that illustrated what happens at the intersection of the major oppressive systems. This is from the National Organizers Alliance, NOA Gathering V at Sonoma State University in CA during July of 2001. Doesn’t this just about sum it up?